David, Marty, and Michael have been writing, singing, and performing together for over 30 years. This compilation of some of their best music—and one new one from each of them—will be sure to brighten your day. 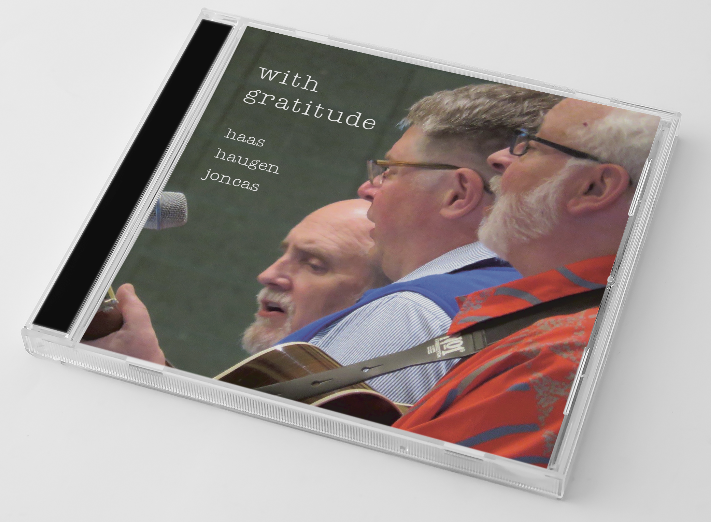 They have donated their royalties on the sale of this CD to Music Ministry Alive, The Southside Family Nurturing Center and the University of St. Thomas with gratitude for God’s rich blessings on their lives. For decades, the music of David Haas, Marty Haugen, and Michael Joncas has been on the lips and inscribed on the hearts of God’s people. These three icons of sung praise are renowned for their ability pour God’s love into the works they compose. Collectively they have created a vast wealth of songs, hymns, psalms, and ritual music for worship—music that has been forever woven into the very fiber of our faith. With Gratitude gathers their most beloved songs and a few new ones together in joyful celebration of the profound impact their music has made on the people of God.